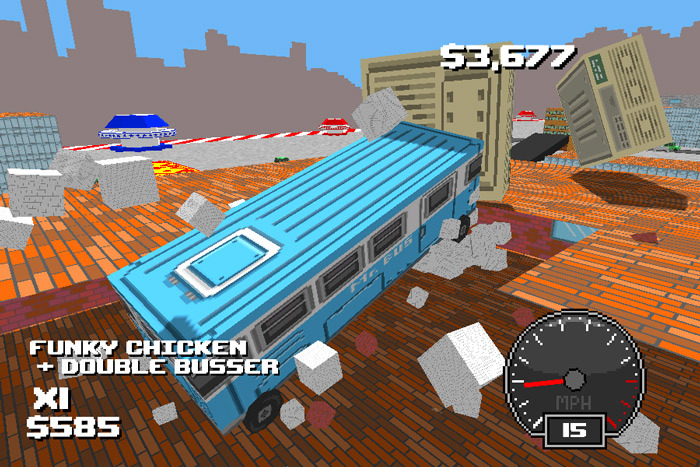 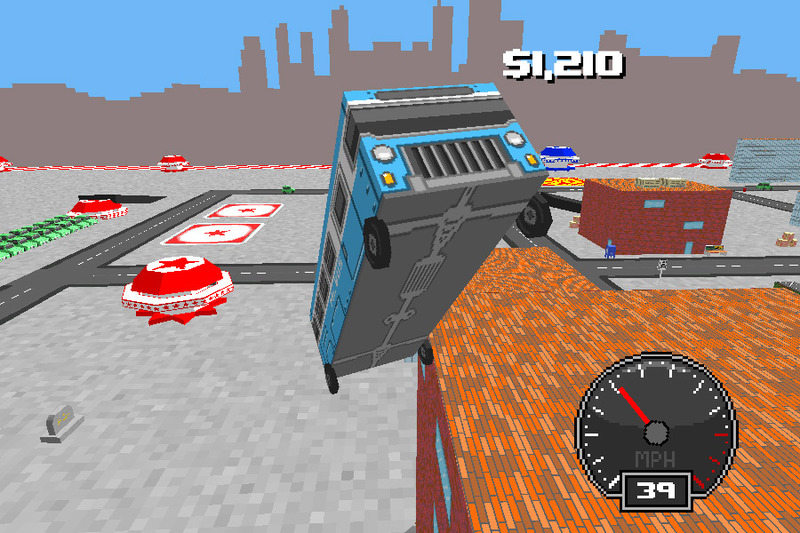 "A crazy physics retro style bus driving game!" The OmniBus demo is a small and silly game where you drive a bus around a town with crazy, silly physics, you are able to smash through building and bounce off big round things that look like something straight out of Sonic the Hedgehog that will send your bus flying through the air and spinning around as you do these flips and tricks you gain money for the more impressive stunts you can pull off or more buildings and objects that you can smash your way through. 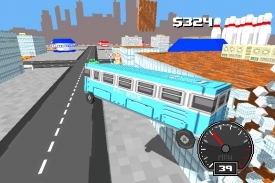 The game has gone for a Playstation 1 style of graphics but it does make it look quite dated and a bit kitsch, on starting the game it looks like it will be a lot of old school fun however it gets old quite quickly and this may be partially due to the fact it’s a demo version and there’s really not that much to the world that you can drive around in and after a few crashes round the city and flying through the air a few times there’s really not much else to do, however if you’re looking for a new game with a kind of nostalgic feel you may well enjoy OmniBus but there’s not much here to keep bringing you back to it. 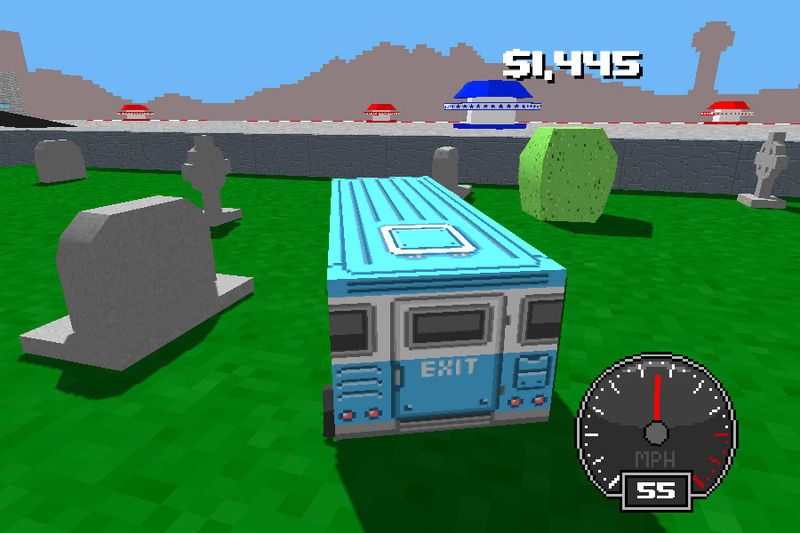 You can download the OmniBus demo here for free.